We are one of the leading manufacturers and suppliers for commercal kitchen equipment two sinks, Three Sink these sinks are used for cleaning various kitchen Owing to their optimum resistance to corrosion and impeccable finish, these sinks are highly demanded in the market. 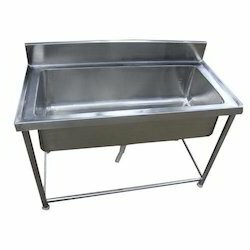 We are among the leading manufacturers and suppliers of optimum quality Washing Equipment Sinks. 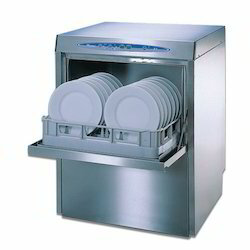 Owing to high cleaning efficiency and minimum maintenance, this equipment is highly demanded in hotels and restaurants for cleaning kitchen utensils and dishes. The offered products are available with us in user defined specifications. 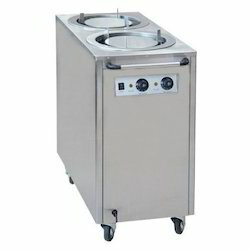 We hold expertise in offering optimum quality Plate Warmer Machine to our valuable customers. Owing to their optimum efficiency, these machines are highly demanded in the market. Driven by an intense desire to attain maximum customer satisfaction, our logistics professionals assure safe and timely delivery of these machines at the customers’ end. 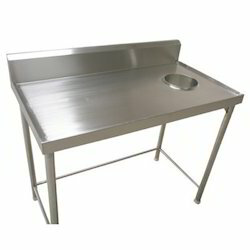 Our company is instrumental in offering premium quality Dish Landing Table to our valuable customers. 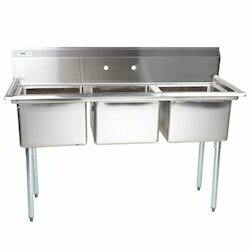 The offered tables are precisely engineered from optimum quality stainless steel, which is procured from well-known vendors. Owing to their attractive design and long functional life, these tables are highly demanded in the market. Our company is instrumental in offering premium quality Heavy Duty Washing Equipments to our valuable customers. This equipment is used for cleaning various kitchen utensils and dishes in the most efficient manner. Owing to its steady performance and minimum maintenance, this equipment is highly demanded in the market. Looking for Washing Equipments ?